Click on any picture to enlarge and start a slideshow. When I first read an interview with John Kimmich extolling the virtues of his proprietary Conan yeast strain, I was intrigued to hear a world class brewer suggesting that yeast could form the crucial, flavor-packing backbone of his huge hop-bomb IPA. I was determined to culture this secret-weapon-yeast, and I did, and it was awesome. Of course, I wasn't the only person to come to this conclusion, and not long after I posted my original write up on Conan last year, an epic forum thread popped up on HBT devoted to cloning Heady Topper. While I've never been hugely motivated to tackle commercial beer clones, it's not that I'm not interested — it's more that I'm too ADD, too easily distracted by a million other ideas, I think. Cloning a beer requires a lot of devotion to chipping away at one recipe; not even attempting to perfect it, so much, as to hone in on what already exists. My background as a writer means that I'm fidgety — editing and tweaking things down to the last second. However, tackling a clone recipe of one of my absolute favorite beers as the first collaborative group brew between me and a few members of the Beacon Homebrew Club seemed perfect. This wasn't a recipe of my creation, and we weren't using my equipment, so I hardly had to do any work... can't say no to that, can you? 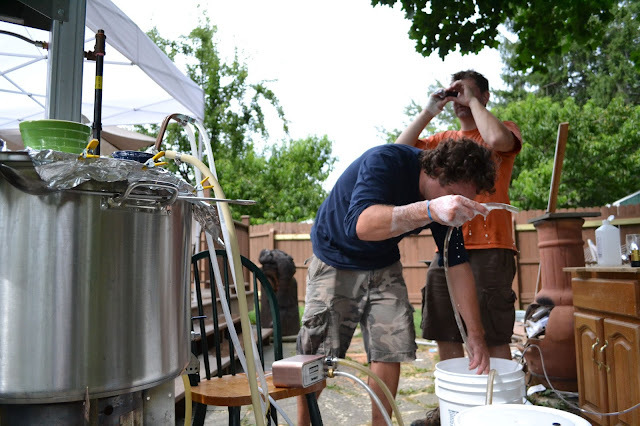 We split up the ingredients amongst the three of us and brewed at my friend Chris' house. Chris and Phil will be fermenting 5 gallons each in their homes, and later kegging as well. Since this batch is pretty much out of my hands after pitching the yeast, I just wanted to document the brew-day and process here. The recipe follows at the end of the post. My hope is to acquire some fresh Heady Topper right around when this is ready to drink, and do a Group Evaluation with the whole club and blind taste test both brews side by side. This was my first experience brewing on a Blichmann Top Tier system. 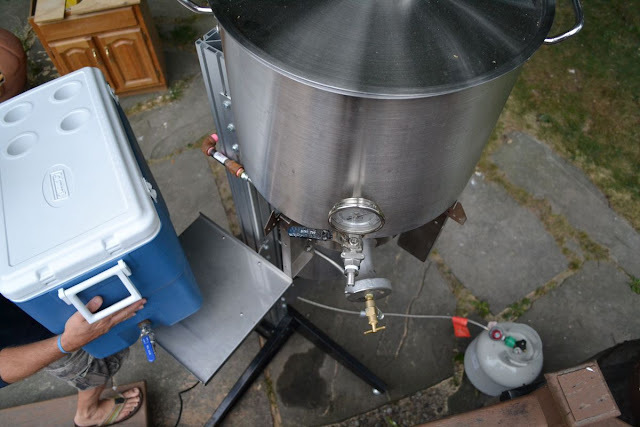 It was certainly a thing of beauty, and I could definitely see myself getting one someday (unless I can set up an all-electric basement brewhouse first). Here, Phil fills a kettle to heat up the mash water. This being a 10 gallon batch, a great deal of water was harmed in the making of this beer. Chris' brewing system has approximately four hundred times the capacity of mine. This 10 gallon batch of beer will use about 2 pounds of hops, plus hop shots for bittering, when all is said and done. Upon assembling all the ingredients in a Natural Helix formation, we offered the appropriate incantations to Nephropidaesar the Awoken. 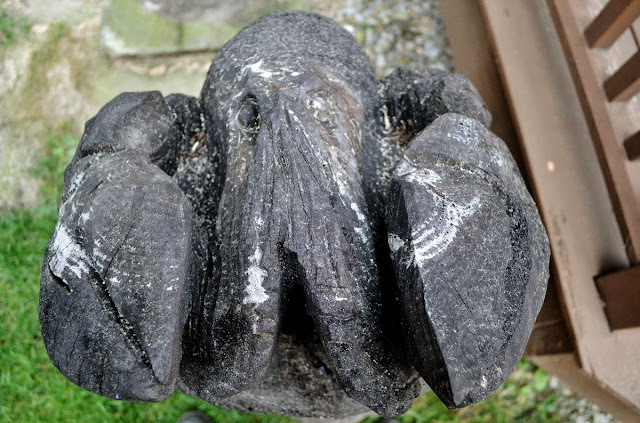 I had left my Warding Stones at home, so Chris let me borrow an extra set. The ritual passed Fourth Phase without Nephropidaesar casting his Shadow, and accepting as the Elder Gods seemed pleased, we checked the temp on the strike water and began the 60 minute mash. No two brewers seem to have the exact same approach to brewing, much less the same set of equipment. 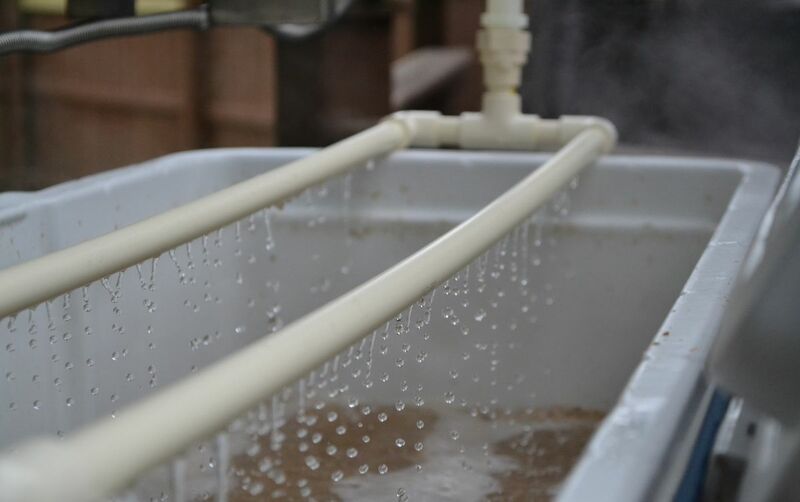 We enjoyed a thorough discussion on the merits of fly sparging vs. batch sparging. A significant amount of the hops in this recipe are (/should be) added as a two-stage whirlpool hop addition. 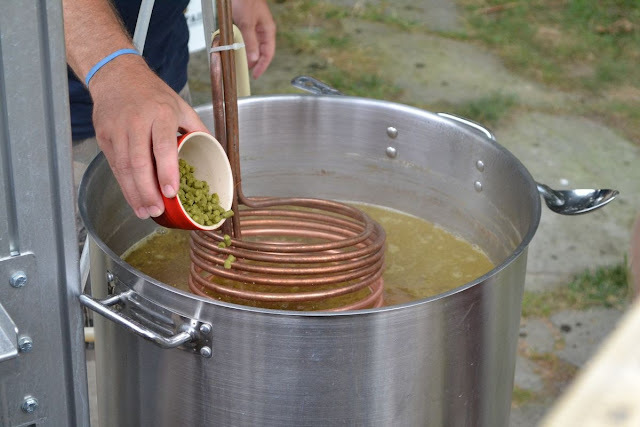 Read up on the advantages of whirlpool hopping / hop stands here. (Due to Chris' fancy setup, we were able to get an actual whirlpool going, which I can't do at home). Phil lathers himself in Star San, while Chris secretly watches him through a spyglass. Plate chillers involve a lot more tubing than I'm used to. Since we whirlpool hopped, we did not use a Hop Rocket or any such device. Before pitching the yeast, I aerated each 5 gallon fermentor with 70 seconds of pure O2. Conan yeast and iced coffee: important staples of my average brewday. The recipe for this beer was laboriously investigated, tweaked and refined over the last year by the members of HomeBrewTalk, and in particular by Danny (aka theveganbrewer) of Signpost Brewing. I've tried to keep up with that thread and contribute where I could, but since I haven't brewed a clone attempt previously, those contributions were obviously minimal. Anyone brewing a Heady Topper clone owes a huge debt to Signpost Brewing and all the time he's spent pinning down the components of this unique recipe. Most of the ingredients for this recipe have been verified either by feedback from John Kimmich, or by information gleaned from the Alchemist brewery / website / blog / promotional videos. The only thing up in the air at this point are the percentages and ratios, and the process and technique quirks that the Alchemist may employ. I can say already that this recipe is very very close to the real thing, as Phil brewed an earlier, simplified version of it — with my feedback and yeast assistance — earlier this year. It was missing a few grains and a few hops, but it tasted pretty much like a homebrew version of Heady Topper. I expect this will be even closer. Of note, too: you could do an extract version of this recipe with the exact same hop bill, but it won't be a real clone. The grain bill is simply impossible to duplicate with contemporary malt extracts. Which is not to say it's not worth trying: you should still end up with an awesome beer, it just won't be a perfect clone. Similarly, there is just no substitute for Conan yeast. I have yet to encounter another strain that tastes and performs like Conan. 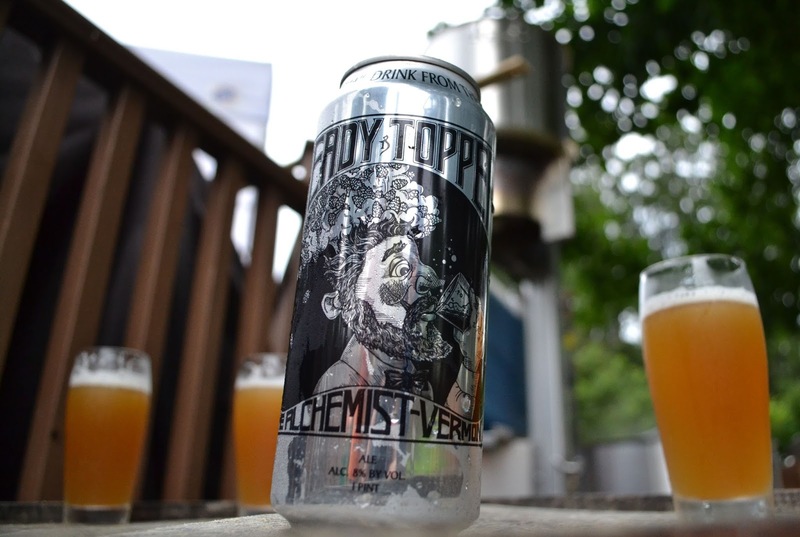 Fermenting with American Ale yeast or WL 007 will earn you a very delicious double IPA, but it won't be Heady Topper. 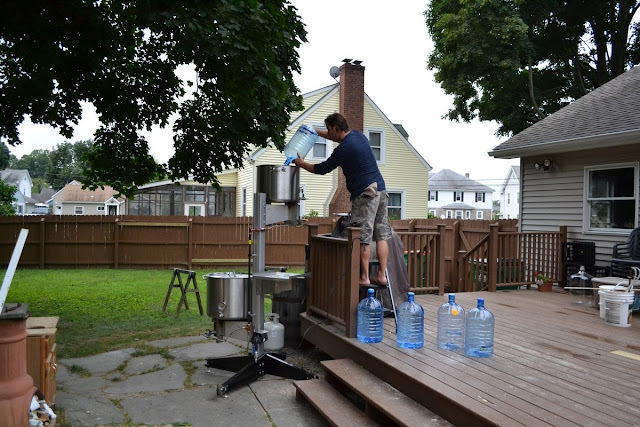 We brewed a 10 gallon batch on Chris' system. The recipe below is for 5 gallons, which we simply doubled. Tasting notes and a side-by-side evaluation next to the real thing have been posted here. I have been meaning to do the newest recipe Danny had come up with. I was pretty active in that thread very early on, brewing 2 of the first few tries last winter. But like you I wasnt able to keep up, I like changing it up instead of brewing the same beer over and over. I'm excited to hear how yours turns out. Rad. Looking forward to the follow-up. Thanks, and thank you, theveganbrewer. Conan is definitely tricky, given what it goes through to get to us. Our clone fermented much more slowly than I would've liked, or have ever experienced previously. It eventually hit the FG we wanted, at least, but for a week we were worried it might stall out. Unless you have the equipment to check it out under a scope, it's hard to determine how healthy the yeast is out of the can. It's a pretty big variable, I guess. Hopefully the beer was still tasty despite the high FG! My local homebrew store doesn't carry hop extract and I'm curious if you know what type of hop could be used as a replacement. Northern Brewer or Magnum would be good substitutes — you just want something that'll give you a nice neutral bitterness (hop shots are very clean) and of course hit the IBU figure without adding a ton of hop matter. I'm of the opinion that the hop shots are one of the less critical components of the recipe, so a substitute should do you fine. Conan is really vital, and the Pearl malt to a lesser extent, whereas the hop shots are, I think, mostly for the practicality and economics of avoiding trub loss. Thanks for the feedback. As a heads up, the recipe's SRM/IBU's are missing from this page. I'm about an 8-hour drive away from the picking up the Conan strain - looks like American Ale yeast for me. Once I get back to Vermont though it will be interesting to brew this again and taste the outcome side-by-side. Absolutely, I've also been thinking I should do a side-by-side comparison of Conan and some other yeast strain if I ever do a rebrew of this clone on my own. Would be a very cool experiment! SRM for this should be around 6.2, I believe, though the appearance of Heady is really not comparable to most other IPAs. Conan is a horrible horrible flocculator, and Heady pours looking like an orange juice milkshake, as you probably know. However the color for this clone is spot on. IBUs should be 130 for the bittering addition. This doesn't take into account the whirlpool hop additions, which Beer Smith calculates as 0 IBU, but I don't think those IBUs are taken into account by the Alchemist's IBU calculations either. According to my calculations, you should be quaffing a pint of this very soon? Would love to know how it came out. Thanks for the great blog! Your calculations are correct! My friends kegged each of their portions last weekend, and just delivered some Blichmann Beer Gun-filled bottles to me yesterday. I am drinking one right now, and I can say that it's very very close, though not all the way there. I think there were a few process hiccups and likely some ratios and percentages in the recipe not 100% there yet, but still... very close! In my experience, Heady has a ton of inconsistency between batches, and I would put this on par with a lesser batch, in that it's got the "right" flavor, just not as intense or vivid as it could be. I'll have a full write up and hopefully a side-by-side comparison in a week or two! I always kind of assumed that Heady goes through fresh hops one last time, as its being canned. Kimmich has a couple of clever little gizmos up there, most of which are repurposed tanks intended for other purposes (ie the old brite tank he "top crops" into). I wonder if something as simple as that could put it over the top. Great point, you know, I always had that thought in my head too. No idea how it would work honestly, since he seems to be going to greater lengths to clear the beer up lately. But I could swear I used to hear talk of him hopping the beer right before it hit the canning line, so who knows; it might be the thing that sets it over the top. Any ideas on Signpost's change of recipes from late May to mid June. Notably the Simcoe diminished quite a bit and the Columbus went up. It looks like you used a recipe from late May or earlier. If you brewed in August, I'm curious as to why you chose that route rather than the diminished Simcoe and added Columbus with his later clone recipes. We used the most recent recipe he came up with, the 4.0 version. His website went offline, but it's the same recipe that was regularly updated at the front of the HBT thread too (and is still up there). I can't remember if he offered any thoughts for future changes, but that was the latest version at the time we brewed. Having said that, I don't think this was heavy enough on the Columbus, still. I remember him going back and forth on that, and adding some Apollo in to up the dankness, but it could still use more. Here are the guts of the mid-June recipe. It was weird, he had recipe 4.0 posted and he made changes to the published recipe (all titled 4.0). So, it was listed with slightly different hop configurations at different times. This is heavier on the Columbus than you went with. Any ideas what happened to his website? I just tried to view it; it's being sold for $1299.00!!! Crazy. Good man to have that thing ripped from underneath his feet. I have brewed this recipe, and I like it a lot. Are you adding the Turbinado after the boil? Interesting! Thanks for posting that. It looks like he added a few more ounces of Columbus, which is pretty much how I have been feeling as well. I still feel there may not be enough Columbus in the dry hop — the aroma to me is very heavy on Columbus and Simcoe, but of course, with so many hops working in tandem, it's a real pain trying to guess at exact ratios. I am only guessing for sure. Wow, that's a pretty big chunk of change! I have no idea what the story is there, to be honest. Yep, sugars like the turbinado I usually add a few days after fermentation has commenced. I was putting in to beersmith but don't understand the grain bill in %'s. Can you explain please? In your hop schedule what do you mean by 'when at 180F' is that on the way up to boiling or on the way down when you cool it. Is there a concern with whirlpooling hot wort and introducing the chance for oxidation. I am just curious because I am starting some Conan yeast and I want to make sure I understand all of the steps to ensure the best brew. :) Thanks for posting this recipe. Hope that helps! Happy brewing! One of the things I'm interested in for this beer is water profile, which I think is huge for this beer. Not having done very much research on a Heady clone, has there been much talk about water profile? What sort of water profile did you select? Thanks so much for posting this. Great question. Very very important question. Water is always the secret ingredient that people don't talk about much, but that is likely the secret weapon in the best hoppy beers being brewed now. I don't post too much about the water adjustments I make at the moment, because I feel like I still have so much to learn. I'm making slight tweaks to each batch and will write more about it in the future when I feel like I have a better grasp of what happens with each adjustment. And of course, the Vermont guys are all very secretive about their water. Shaun Hill gives hints now and then, and makes me think the Chloride level is much more important for hoppy beers than one traditionally thinks. For this batch, we went with a fairly standard IPA water treatment, not really knowing what else to aim for. I honestly can't remember the exact amount, because the calculations never made it to my notes, but we added a very standard amount of gypsum. I imagine he keeps the levels moderate, but maybe a bit higher than other Vermont brewers. The actual Heady was definitely more bitter than our clone. I'd aim for 250-ish ppm for SO4. Quick question - When you say dry hop for 4 days then 4 is that the last 8 days in the secondary? 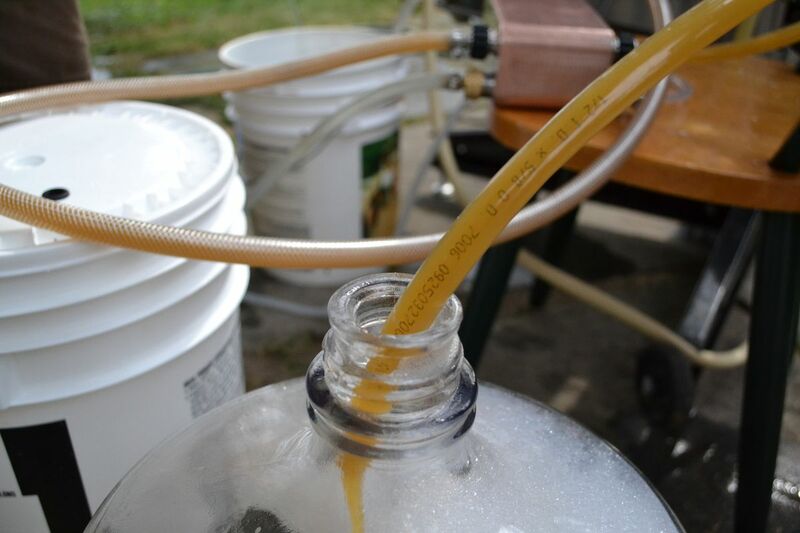 I usually let my beer sit in the primary for 7 days and then 3 weeks in the secondary - so should I plan on adding dry hops 13 days after going into the carboy? I've done other IPAs and just dry hopped over the entire 3 week period with no ill effects. Yeah, pretty much. I think you could do your usual strategy just as well and see how it goes. The thing with this beer is — we're still guessing on a lot of things. Kimmich has confirmed a few specifics and general techniques, but not everything. 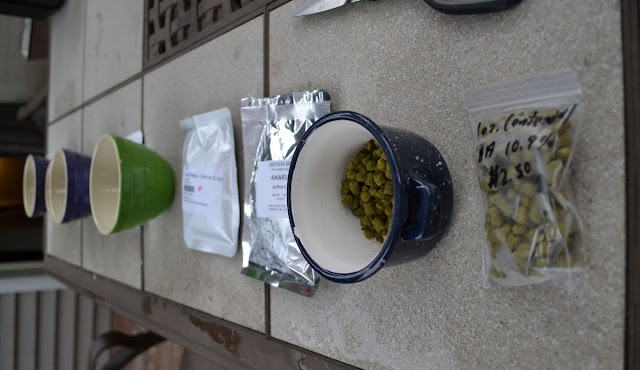 I'm a big fan of dry-hopping in two stages, with the first stage having contact for about a week, and the second addition of dry hops having contact for four or five days. I think it helps to make sure you'll drinking the beer before the aromatics start to fade. But I think you can adapt it to your process, as everyone's setup is a bit different. Haha, all totally accidental as far as I know, but they sure did have a knack for remaining obscured! Thanks for sharing! I actually have another kind-of riff on Heady Topper planned for brewing in the next couple weeks. Someone else sent me this video last week and I've been slowly making my way through it! Kimmich is an awesome guy, I'm really happy they recorded this. I may have missed this, but what do the huge late additions of Apollo do? M understanding of this is a super high alpha buttering hop and not much more. Seems like it would be equivalent to adding huge hits of magnum or warrior late. Ay chance there are some pacific rim hops like mosaic, zythos or even galaxy in this beer? I feel like those are a distinct possibility and I also seem to recall reading speculation of the same. Thanks for posting this, great article! I wouldn't call the late additions of Apollo huge, it's the most minimal addition out of all the hops. However, I don't think the comparison to Magnum or Warrior is accurate either. Apollo is actually a pretty flavorful hop, unlike those, it's just not very commonly used or appreciated for its flavor properties. It's even danker than Columbus, and it's got a really intriguing "orange citrus" character that I find unique in Heady. There's definitely more experimentation needed, but to be honest, I think we didn't use quite enough Apollo in this recipe. I'll be playing around with ratios some more. Remember that Kimmich has been brewing Heady for around a decade, and while the recipe has been tweaked since, it probably hasn't changed too drastically in the last 4 or 5 years, especially when it comes to the hop varieties. Zythos and Mosaic are far too new to be in this. And he's also confirmed that Heady is all American hops — Alchemist has dedicated acres at a hop yard in Oregon growing the hops for this year. So Pacific Rim and Galaxy are definitely out too. Interesting, I read one profile of Apollo and it said neutral. Then I checked on my retailer where I buy bulk hops and it matches your description. After reading your posts, the flavors I'm catching from heady are indeed yeast derived and not from hops! One other question , what about using Columbus or mag/warrior @ 60min as opposed to extract @90? Like you, I'm not much of a cloner, but this brew is my white whale. Thanks again! I think that would work just fine. On the homebrew scale especially, it's not as huge of a deal to keep the extra hop matter out of the fermentor, though it's nice. As far as just flavor goes though, I don't think you'll not notice much difference with Magnum or Warrior. Something clean and neutral. I'm going to try this recipe next weekend but I'll be using extract. I was going to sub 8.5lbs ultralight extract for the 11 lbs pearl malt. What should I do about the white wheat. I remember reading that you can't steep it. Any recommendations? Yeah, you wouldn't get any sugars from steeping the wheat, but I believe you could still get a bit of the proteins for head retention. One route would be to just carefully monitor your water temp while you're steeping -- you could do a small mini mash with just the wheat and probably get a decent amount of conversion. Or, I think the easiest method would just be to use a bit of wheat extract. A pound or so of that should help give you the body you want. Thanks for the info! I think i will go the wheat extract route. Is there a conversion for going from grain to extract? I found for base malt 1lb should = 0.6 dme, if that is true for wheat malt then i should use .45lbs dwe? Hmmm, brewed this w 12oz English caramalt and it came out a bit dark...and actually caramelly in the flavor. Good, but more like a mid west ipa/amber. What was the specific grain you used? I am pretty sure I used the Thomas Fawcett CaraMalt. I think the trouble with CaraMalt is that there are few maltsters that make it, and it looks like it's wildly different from one to the other, actually. The TF that I used only seems to be around 10 L, whereas others I've seen as high as 25 - 30 L. Could be you got one the darker versions? I have to check my software, but I think the amount only came out to around 8 oz for a 5 gallon batch, so I would maybe try dialling it back too. Hi all, i have been collecting all ingredients patiently, not that easy here in Switzerland... But no way i can get apollo hops. So witch substitute should i consider? Apollo is tough, it's very dank but I also often get an orange citrus character from it that I think is pretty distinct in Heady Topper. I'm not sure I would call anything a perfect substitute; you could maybe dial up this character by increasing the Centennial and CTZ. And while it kind of seems like cheating, Citra actually might give you some of the character that would be missing. Does Conan take its sweet time to Attenuate ? 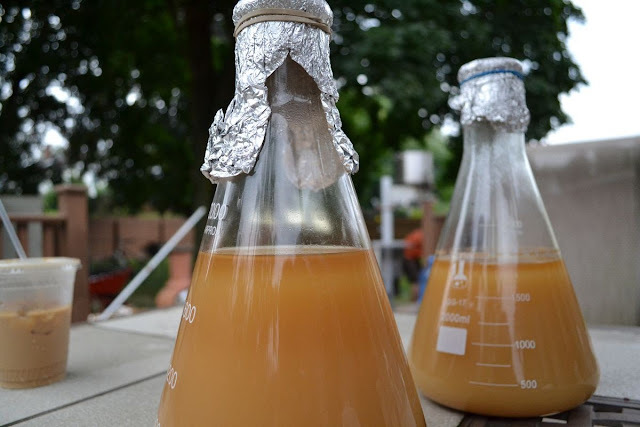 How much did you pitch and what was the source of the yeast? Conan can be finicky, especially depending on the generation and source. It doesn't always ferment as dry as I would like, either. I recommend a pretty aggressive pitching rate. I had the same issue, but woke up the third day to a happily bubbling airlock. It never fermented with the intensity of other IPA's I've done, and slowed down after a week and stopped after 10 days. I took a gravity reading when adding the first round of dry hops, and found it was only at 1.024. I stirred it up, added the dry hops, and its slowing bubbling again so there's hope yet it will get down closer to 1.016. Thanks so much for posting this. I brewed it last night and I'm pretty excited about it. This is my first attempt at a hop stand so I'm stoked to see what flavors I get out of it. It sounds like a lot of people have trouble with Conan finishing out around 1.016 or even higher. I (accidentally) mashed a little low at around 147, so I'm eager to see if that has a positive effect on my FG. What is actually Pearl malt? Also if you can't get your hands on conan British ale 1098 and British ale 2 from wyeast will get you close to the fruity peach tones in there. I belive there are large amounts of gypsum added to the boil in this beer. I have read that 9:1 ratio can be used in super hoppy beers without gaining a mineral taste. Putting the hops way out front with that super juicy characteristic that you get from heady topper. I have read that alchemists brewing boosts there water to 750 ppm. Al the malts are grains.